Over the years I’ve used the woodpile as a place to think. When I was teaching I’d mull over which short story to read to my class, or how to connect with a student who was in a crisis, or how to make some boring grammar lesson interesting. As a writer I use the woodpile to try out voices for my characters, or to think through a plot problem. And to remind myself that it takes time for a story idea to mature into a novel. 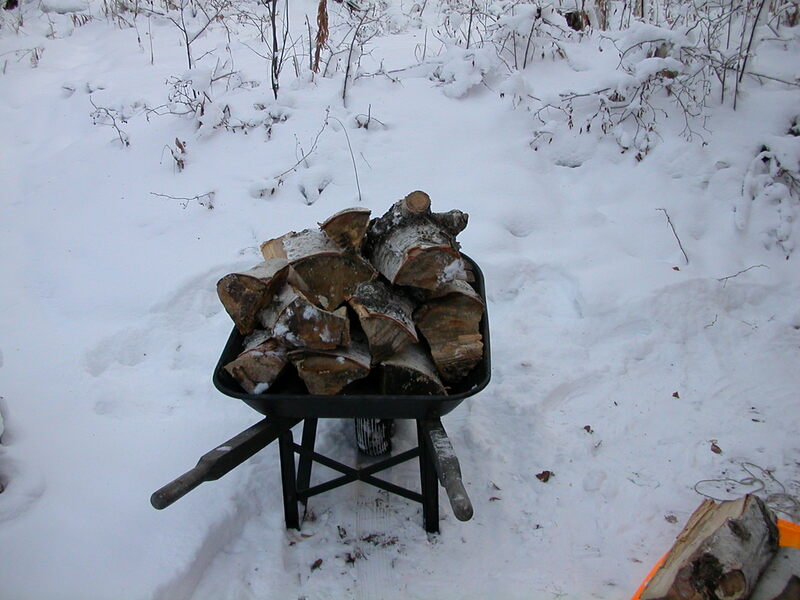 I love the woodpile and the wood chores because I am working on providing a basic need. For me, that is grounding in and of itself. I’ve grown to love doing simple chores that connect me directly with being a human. It’s all too easy for me to get caught up in worrying over things I can’t control and trying to change things that I have no control over. Working at the woodpile helps me to take a step back and breathe. It reminds me that I am alive in this amazing world. What activities do you do that are grounding? What do you think about while you are doing them? Nothing as strenuous as chopping wood, but working in my yard is my main getaway. I injured my arm last fall, so I am just now getting around to clearing out the freeze damage we had from our unusually cold winter (it snowed in Houston twice!). I had masses of plants that had survived for a decade without a heavy freeze but now they are just sticks and tree trunks. Cutting them down, digging up the roots and preparing the ground for new plants t is a wonderful way to reset my brain. My family and my writing both benefit from my time working in the yard. Thanks, Vonna. I hope you see a full recovery from your injury and continue to enjoy working outside. And snowing twice in Houston, wow! That’d be the equivalent of it only snowing twice in Fairbanks. It’s snowing right now! It used to be running – a time I’d lose any ruminating and just let thoughts and feelings flow as I ran. These days I really think what’s grounding for me is reading, particularly old favorites. It’s the best way to lose, and find, myself again. Thanks for your thoughts, Carol! I love that idea of losing yourself and finding yourself in the same activity. I think we do that with our writing, too. When we get happily lost in our own story and discover something new about ourselves. I love to plant in the spring–pumpkins and sunflowers, since my kids get a bang over those. I always plant the seeds way too early, inside, and then try to keep them from getting too leggy before our last freeze. But, I love to hike and run in nature. That keeps me connected. Thanks, Heather. We have a similar problem with our garden starts being leggy. As a remedy we bury the stems deep when we transplant. We are experimenting w/grow lights to supplement the sun coming thru the windows. That is an excellent reminder! To keep our thoughts on the things we can control. I often find writing itself very grounding. I will write jibberish or focus on a word something that brings me back to the moment, to the sentence ahead of me. Also cooking, chopping veggies is not quite as strenuous as chopping wood but it is grounding. Thanks, Tina. It’s cool that you find writing grounding. I guess I do as well, but not all the time. Sometimes I’m just plain obsessed. My students showed me how little control I had over them in a good way. The more responsibility I let them have, the more they rose to the occasion but I had to let go of how I wanted them to be. I totally get you. My husband literally drools over wood piles and has been known to drag fallen trees out of the woods to the side of the road where he can later collect it. 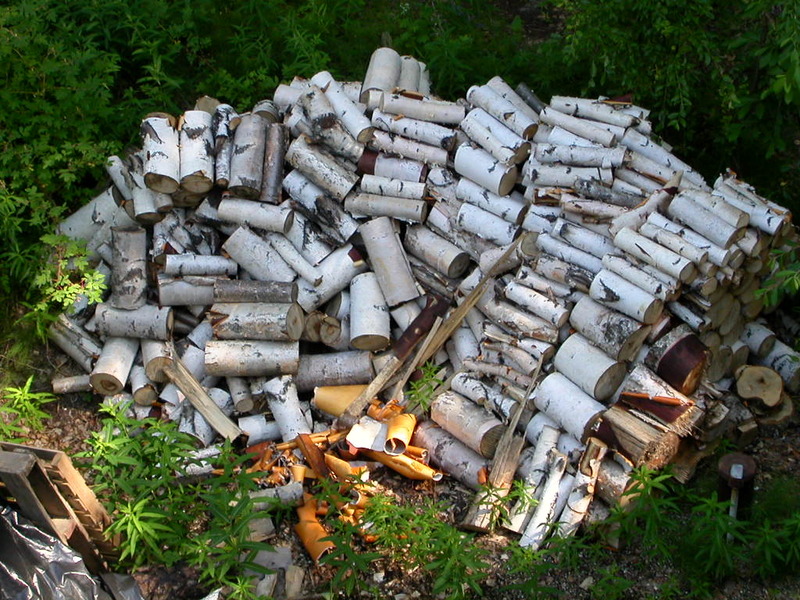 Woodpiles and firewood are two things I often discuss with friends. It’s just part of our life. I can totally relate to that tree dragging story. It brought a smile to my face. Thanks, Laura! That sounds like a good way of making an unpleasant chore (well, it would be unpleasant for *me* anyway!) and making it a more interesting activity. I like to take walks to help me think things through. Hi, Elizabeth. Firewood related chores are usually pleasant for me unless I’m nursing an injury. I think the repetitive nature of splitting wood and stacking it lends itself to chewing on whatever story issue is in my head. Walking also helps me to think things through. Thanks! I don’t have a yard, but I think doing housework is grounding. It’s not enjoyable, but at the same time it’s peaceful and I get to mull over my writing. Medeia, glad you have an activity that is grounding. I think I’ve solved more writing problems while doing chores than while at the key board. I love to walk on the treadmill or lay on my patio in the sun! It clears my head fast! Terri, I love the idea of laying in the sun! It’s great that it clears your head. When I think of laying in the sun I think of taking a nap. I love this Paul. I lived for a few years in Nova Scotia, part of that time with my sister who lived in a house in the boonies. We had to split wood, stack it up by the house and haul it in every few days to dry out by the furnace. I love the satisfying thwack of the axe as it breaks cleanly through a log. Nowadays, laundry brings me that same sort of repetitive-action thing that lets my mind wander. That and walking. I tend to worry or mull over mundane things, so I have to make a conscious effort to daydream – but that’s what I really love to do. Take my story out on a date and just spend the time thinking about my characters, “talking” to them, and seeing where they want to go. ali, I love the idea of making a conscious effort to daydream and taking your story on a date. That sounds like a great title for a writers workshop! And yes, I can relate to the satisfying thwack of the axe. Thanks! Hey Paul, I would LOVE to have a woodpile serve that purpose for me. Since I’m a wussified city-dweller, however, I have to find other outlets for it. Cooking is a big one – very basic at its core – and in a related vein, I’m actually a big fan of washing dishes. It needs to be done, it provides a small-but-real sense of accomplishment, and it’s a thoroughly robotic task that leaves my mind utterly free to wander off in whatever direction it pleases. Mike, thanks for stopping by. Even though I have a wood pile, I also like to cook. I find it meditative and satisfying. I think us humans just find ways to let our minds explore and take detours. I want a woodpile! Instead I have a dog pile (no need to provide more info than that). Seriously, though, the simple things are the best for centering the mind. I like to bake bread. I used to knead it by hand, but I’ve had carpal tunnel. When I received a Kitchenaid mixer for Christmas, I knew my kneading days were over. But not the joy of making bread. It can take forever, depending on the type of bread. No matter how fast or slow, it’s worth the time it takes, and it feeds my family (a basic need that, like chopping wood, makes me human). Julie, dog pile brings up all kinds of interesting images, very funny! I used to bake a lot of bread but have let that very centering activity fall away the last several years. Thanks for reminding about it. It is so satisfying, and I agree that it is worth the time. I’m glad you are able to continue with the bread baking even w/the carpal tunnel. And, bread baking is a real art as well–art that feeds your family, very cool. 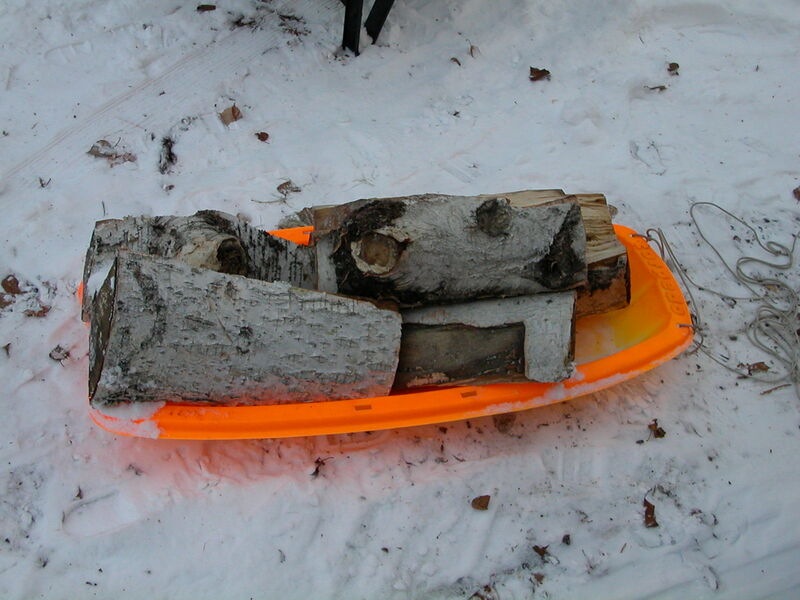 Do you know I’ve lived in Alaska since I was 4 and never chopped wood? We have a couple downed spruce so that might change this spring. I do a lot of thinking when I’m running. I think the repetition is good for letting my mind wander. I admire people who are grounded while doing something. I think I’m not that multitalented – the best way I ground myself is by not doing. Today I meditated by the ocean and walked a labyrinth in the woods. Hi, Stephanie. Yes, I believe you. I also do a lot of thinking while running. Thanks for your thoughts. Robert, your comment reminds me of something I heard at a meditation talk years ago: “Don’t just do something, sit there,” or something like that. There’s a lot to be said for a quiet mind. Thank you for the reminder. Your walk sounds wonderful. I’m chuckling as I read your post this morning! What I wouldn’t give for a wood-burning heating system today! Our heater went caput and so we’re wrapped in blanket and huddled around our space heater. It’s only 25 degrees outside this morning but thankfully will warm up as the day goes on. But your post reminds me how much we’ve come to rely upon modern technology for our basic survival. When I’m preparing meals for my family, my mind wanders to my story, usuallly because my meal prep time comes after my afternoon writing time and it’s so fresh in my mind. But it’s a good time to reflect and to think about what I want to come next. Jody, I hope you get some heat back into your house soon! We do rely on technology for basic survival. In Alaska, lots of items are shipped here from far away. I’m not sure if this is true but I heard that if the shipping were disrupted the store shelves would be empty in three days! Great pictures to go along with your writing! Thanks, K.M. Glad you enjoyed the photos. I like that term “inner conversation,” a good way to describe the voices in our heads. Thanks! I live in comfortable London, so no need to chop wood (famous last words before the apocalypse!) But I’m totally with you in finding that seemingly brainless tasks allow me to reset. It might be chopping a heap of mushrooms for stroganoff, or deciding to walk into town instead of catching the Tube. I’m an exercise freak, so during a run or a Body Pump class will be sorting out some tiny corner of my WIP, or formulating my next blog post. And I love driving a well known route, channel hopping on the radio and shuffling through some thoughts about what I’m writing. Thanks, Roz. I like the your idea of “resetting” the mind. It sounds like you have lots of ways to accomplish this while living an engaging life. And, like you, I’m a bit of an exercise addict. Yes! I know what you mean. I do the same thing when I’m washing dishes. It doesn’t bother me because it’s like my brain needs that monotonous down time. Thanks, Jill. I hope you get the down time you need. We also have a wood pile that looks alot like yours. I do a lot of muttering at it though. Not a fan. But I do find epiphanies out on my hiking trails. Terry, I laughed when I pictured you muttering in front of your woodpile. I do a lot of muttering when I’m down in our crawlspace, hunched over, trying to change the water filter. I hope your hikes are full of great ideas. I’ve been cross country skiing a lot lately on the trails around here. I tend to do a lot of thinking when I am out walking the dog. The occasional project like furniture refinishing or painting a bedroom is good for getting into a thinking zone, or maybe it’s all those fumes! Alissa, those fumes could inspire some interesting plot twists! I get lots of thinking done doing laundry or dishes. Especially laundry since that’s a chore I kind of like and I have to do so often. (Tonight hubby Jim did the dishes! Yay Jim!) Don’t tell my family that I don’t hate laundry; I’ll seem less heroic. 😉 What do you mean nobody thinks doing laundry is heroic?! Jim does the wood chopping around here. Our fireplace is usually extra heat/ambience, but we had a huge wind storm yesterday that took out our power for about nineteen hours (but who’s counting?! Ack!). We burned through a lot of wood. We had the generator on for a little bit of light and limited electricity, and it was one of those really nice, quiet evenings. I kept analyzing my own writing in my mind while I was thinking about the book I was reading. (Awesome book, IMHO: PAPER TOWNS) Such a peaceful (yet cold) night…sigh. Look how many parentheses I’m using today! And I’ve wandered a bit topic-wise, huh? I guess my point was the unexpected/forced quiet gave me some wonderful peace/time to be thinking about the next day’s writing. And it helped! Dawn, what a cool experience. To have what is usually a bummer turn into something so productive. Good luck with that WIP! Second, I do laundry and push my kid on the swing. Both require little thought, just rote movements, things I’ve done a million times before. That’s when I can think. About what I need to do next. Or something to write. Or when I have to be somewhere. I like those quiet times. Steinbeck was a big woodchopper. I understand it was part of his writing process. You’re in good company, Paul. I need to run, ride the bike, lift, work in the yard, read and write. I don’t know, but I think I need one of those. Does cleaning my house count? Elana, glad you enjoyed the photos! And I’m glad you have some quiet time in your life! W.Z., I didn’t know that chopping wood was part of Steinbeck’s writing process. Or if I did, I’d forgotten. Thanks for sharing that. I used to teach a couple of his novels and am surprised this info slipped past. Jessie, yes, cleaning your house counts! Tricia, I think you’ve hit on something regarding connecting with “real” life. That really distills the meaning of my post into a couple words. And we’re all going to connect with that “real” life in our own ways. Thanks! Hi, Paul–Saw your post on 49 Writers. Glad to find this blog. I’d like to link it to my blog . Keep chopping. For me, it’s shoveling horse manure and stacking hay. And, soon, the greenhouse. Thanks, Cindy. I’m looking forward to working in our greenhouse, too! I’ll put your blog on my bloglist as well! Fun! 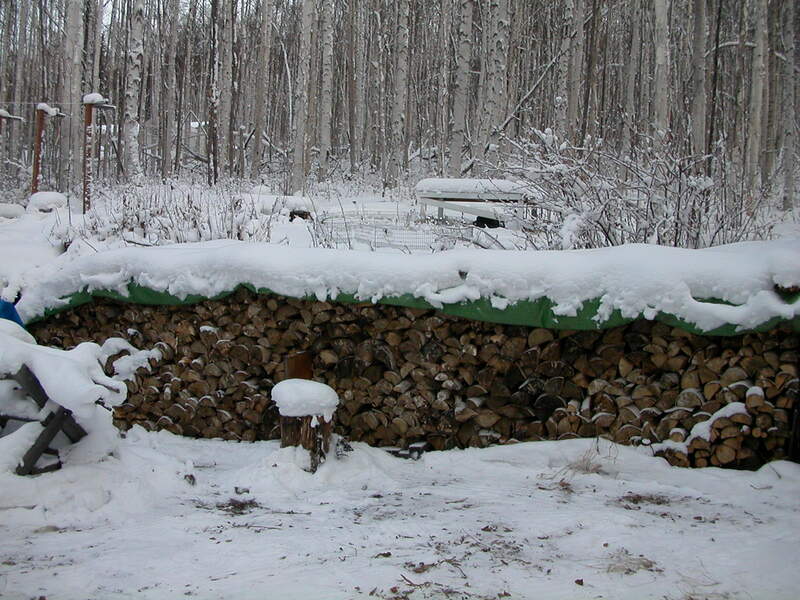 Well, wow, that sure is a woodpile! Mostly I think while showering or driving, LOL! Not very active or productive, but some of my best ideas come during those two times! Natasha, I think both of those actvities are productive. Good luck taking those ideas and turning them into stories! A while back our woodpile provided a blog topic (http://wp.me/phaYw-ge) and I have a magazine article coming out this spring based on a problem the woodpile caused. So I guess we can attribute all kinds of inspiration to these basic tasks. Good post, Paul! Carol, I read your post. That was an impressive pile of wood. I bet it provided lots of warmth. I’ll look forward to seeing you article!! My husband’s parents have property in Wisconsin and every couple of years the men have a logging weekend where they take the already downed trees and branches and split wood! My kids love it when we have a fire in the fireplace! I do my quiet thinking while I’m walking, driving, (though at both of those music is playing, so not really quiet thinking), and laying in bed trying to sleep. Hi Kelly. Wood is our primary souce of heat. It sounds like you really enjoy your fireplace. I hope your quiet thinking results into lots of cool book ideas! We still use wood, but in the ’89 earthquake our Victorian base burner did a dance out the door (literally). We found it on the deck. That left us with two rather inefficient fireplaces, so we succumbed to the “modern” system–well, as modern as the mountains allow. We’re on propane. I forget who said this, but I always remember it since this wood gathering, wood chopping, wood stacking was so much a part of my life. I paraphrase, Using wood as your source of heat warms you twice; once when you chop it and once when you burn it.